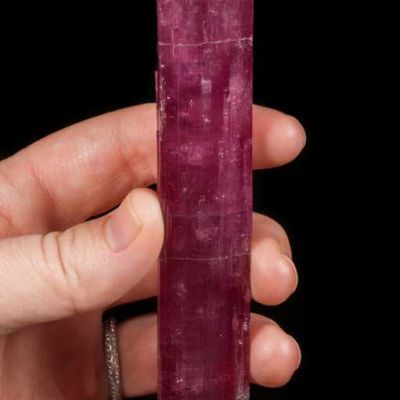 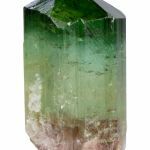 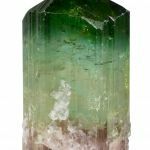 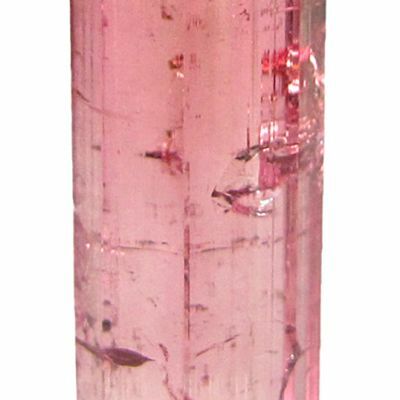 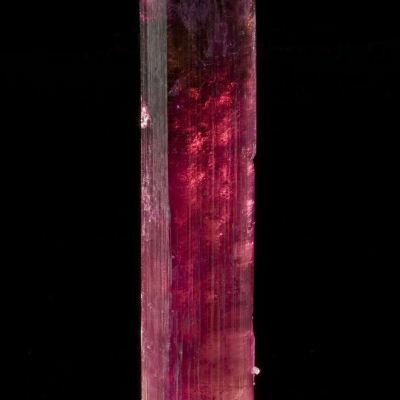 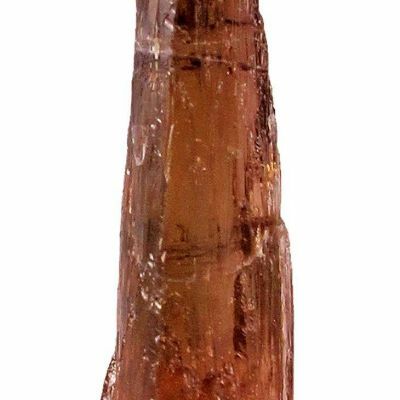 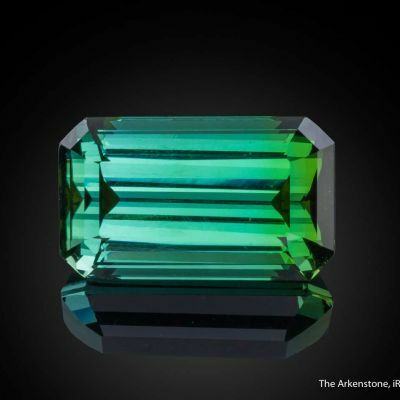 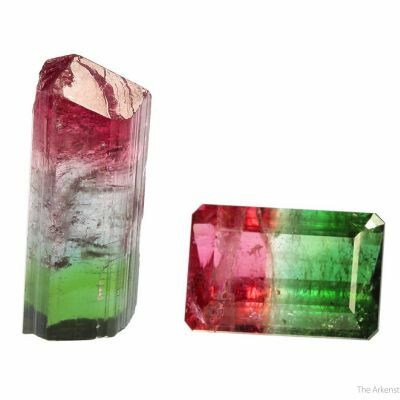 New finds in 2016 from these old gem mines - a gorgeous multicolored tourmaline! 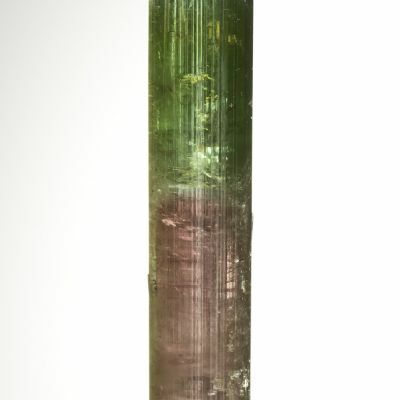 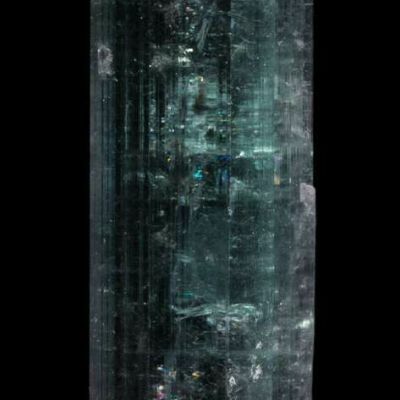 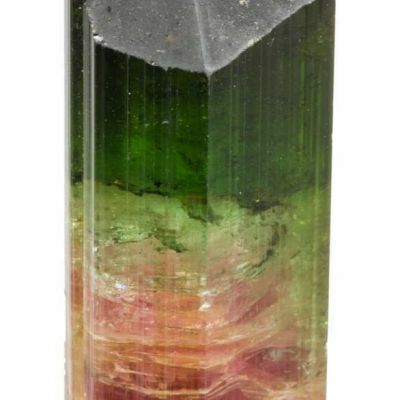 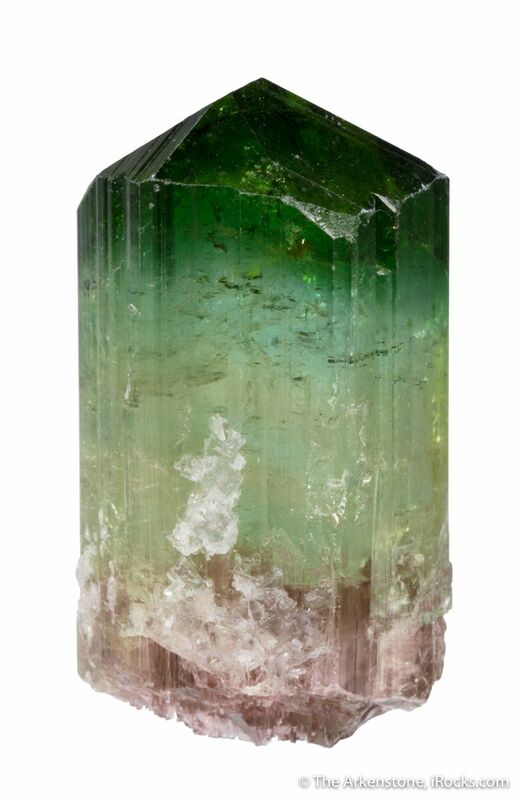 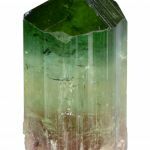 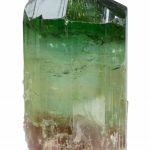 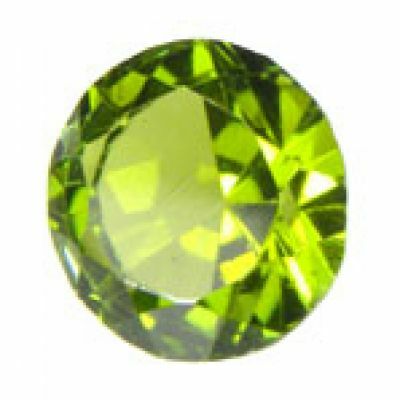 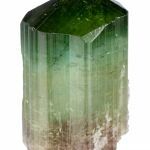 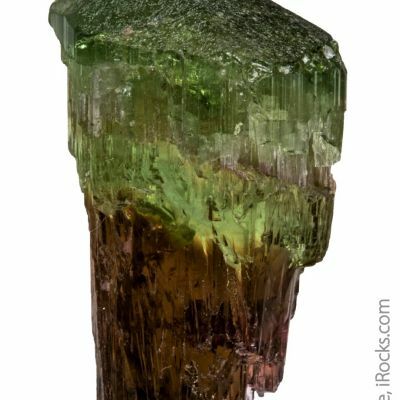 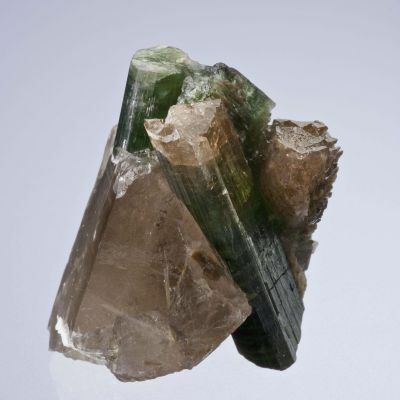 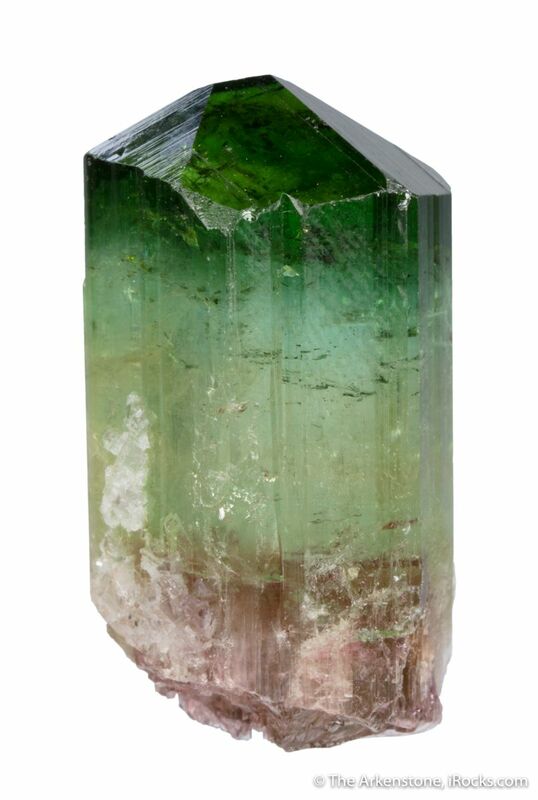 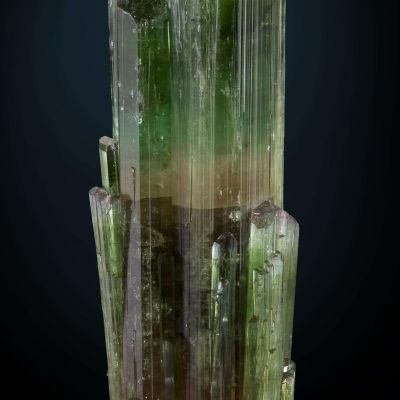 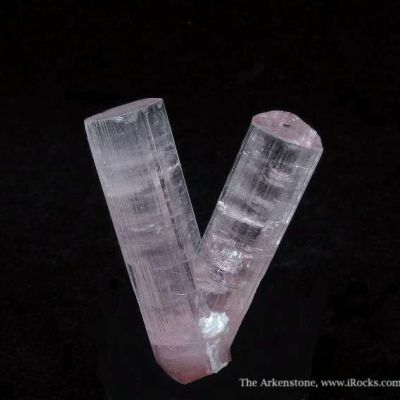 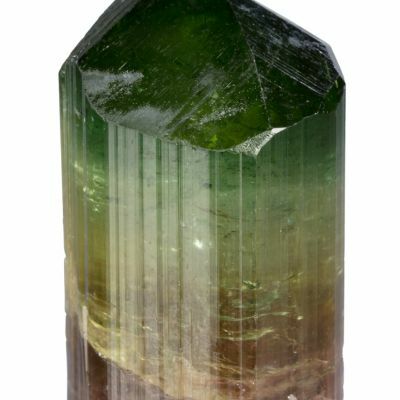 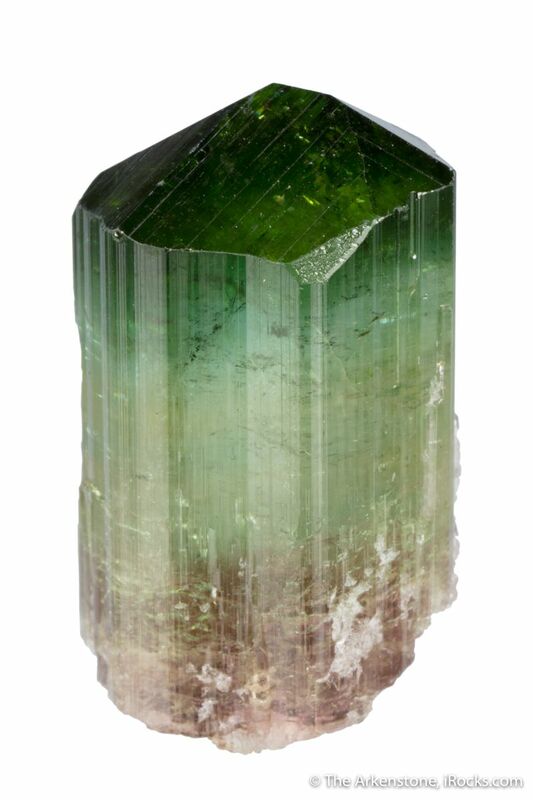 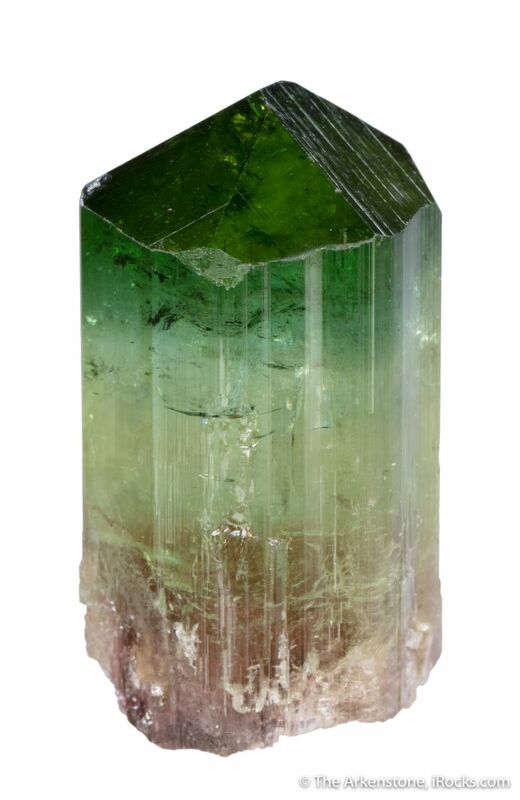 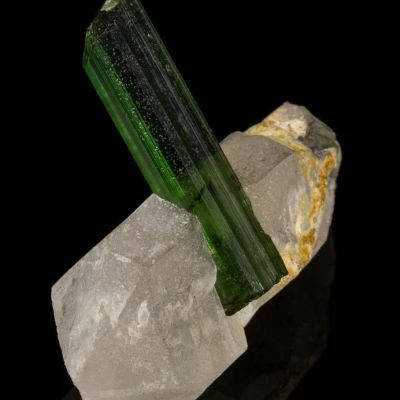 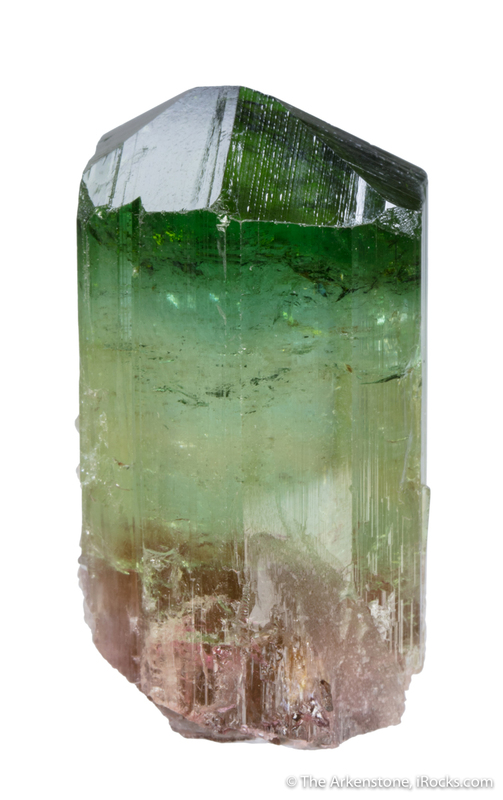 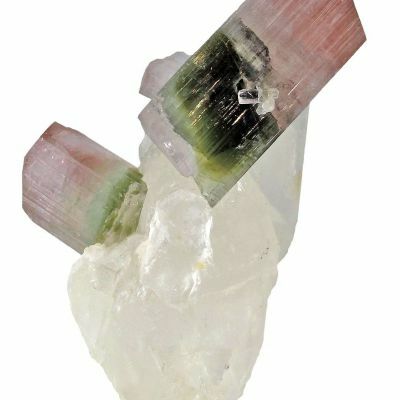 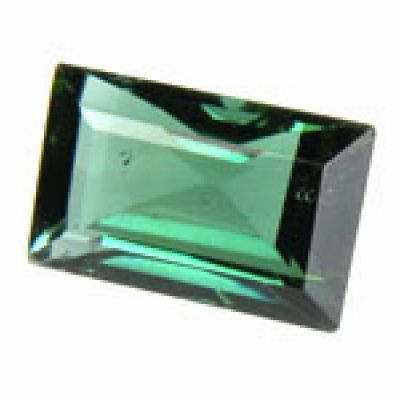 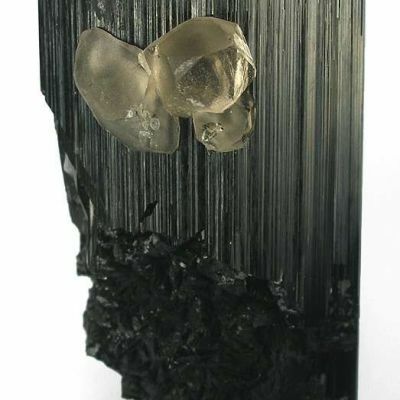 Glassy and gemmy, with several distinct color zones starting at the base with a rich purple layer, then a central layer that is faintly green, and finally at the termination, a rich apple green layer. 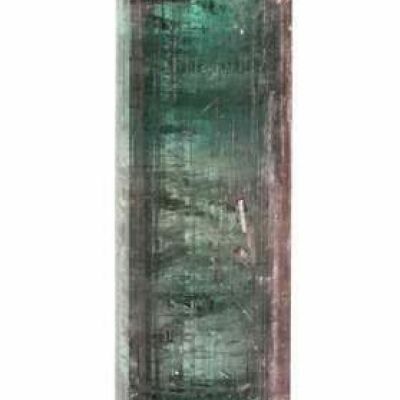 The mass is 31 grams.